These top 10 lists feature typefaces from all type foundries regardless of what company owns the rights or where it can be purchased. Discover which fonts are the most popular in a wide variety of categories. 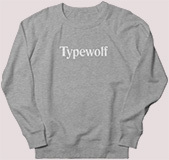 The classification lists are based on popularity data from over 2000 sites featured on Typewolf. The other lists are more based on my personal suggestions rather than actual usage data. This is a great starting point if browsing through the Site of the Day section is a little overwhelming.